The new Salafist Al-Watan Party, which was launched on Tuesday, will include Copts in its ranks and women on its electoral lists, the party’s deputy head Yousry Hammad said on Friday. Hammad made the statement to the London-based Asharq Al-Awsat newspaper, few days after he withdrew from Salafist Party Nour to join Al-Watan, which also includes former Nour head Emad Abdel-Ghafour. The Nour Party, where Hammad worked as an official spokesman before stepping down, had a strong stand against women’s participation in elections. The ultraconservative Islamist party publicly spoke out against having female representatives in elections but was forced to add women to its electoral lists in the last parliamentary elections to fulfill the female quota. Abdel-Ghafour, who resigned as head of Salafist Nour party last week, had announced the launch of new Al-Watan (Homeland) party Tuesday. 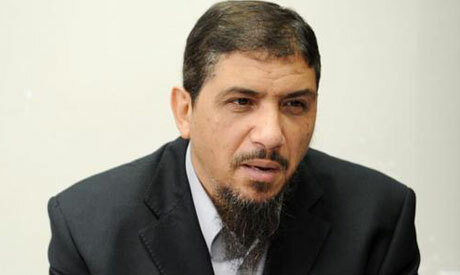 Before his resignation, Abdel-Ghafour represented what was dubbed as the “reformist camp” of the Nour Party. He reportedly quit following a dispute with the followers of influential cleric Yasser El-Borhami, one of the founders of the Salafist Calling, a movement that spawned the Nour Party in 2011. In response to the formation of Al-Watan Party, the Salafist Calling, considered the largest and most influential Salafist movement, announced that the Nour Party remains its sole political arm. No woman in her right mind, or copt for that matter, would ever join such a group! They are only trying to use women and copts to get sympathy and votes for a later agenda! Don't trust them!!! FJ P , the MB political party has both women and Coptic. I think they exclude Zionists. No offer made. You are safe. Salfies are known of radical acts and thinkings, including destruction of graves, Beet Elnabi in Madina, and the long criminal list goes on. Allah AKber.